Derek McKay is of counsel to Roy O’Connor LLP. His practice focuses on research and written advocacy in the areas of class action, securities and complex commercial litigation. Derek is a member of the Rules Secretariat, the research arm of the Ontario Civil Rules Committee. Derek graduated from Osgoode Hall Law School and was called to the Ontario Bar in 2006. 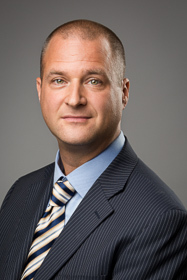 He is a member of the plaintiff counsel team in Fantl v. Transamerica, Fresco v. CIBC and Fulawka v. Bank of Nova Scotia, among others, and is involved in various of the firm’s defence-side class action files. Derek is editor and co-author, together with Garry D. Watson, of Holmested and Watson: Ontario Civil Procedure, and a contributing author and editor of Watson and McGowan, Ontario Civil Practice.